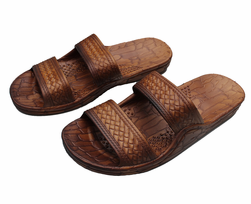 These authentic Imperial sandals are known for there practical comfort at a down to earth price. These are the slippers the originated in Hawaii and worn by locals. Our double strap sandals were engineered for practical comfort. Designed in Hawaii USA. 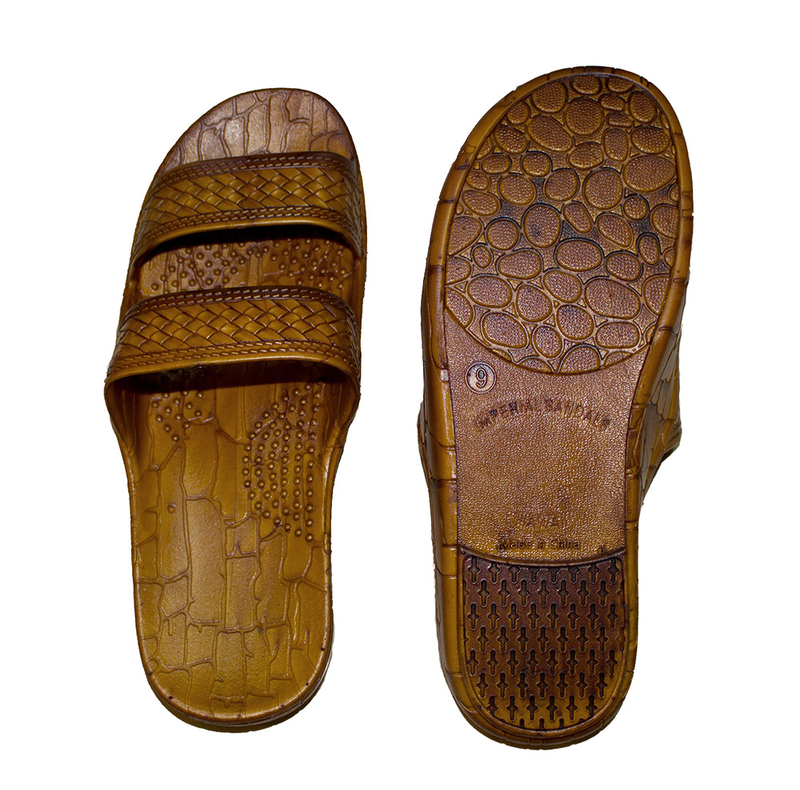 These are the popular authentic Imperial Sandals worn in Hawaii. The rubber double strap sandals are outstanding in fit, comfort, looks and at a very affordable price will become one of your favorite sandals. These are regular women sizes. For Men just order 2 sizes above your standard shoe size and round up for half sizes. Example: US men size 9 should select size 11. Authentic Imperial Sandals have been discover to be popular for use in High school and college sport teams - volleyball, swim, gymnastics; as convenient comfortable inexpensive foot wear to get around the gym, locker room, and shower. They can also be worn with socks for general everyday casual use.